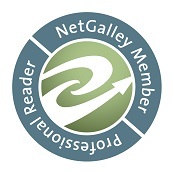 ← What is my bookreading personality? It’s interesting that I’d book end the reading list for my SciFi and Fantasy book discussion group with two novels, published in the same year, both up for the Hugo that year and credited with the rise of military sci-fi. The two novels are Gordon R. Dickson’s “Dorsai!” and Robert A. Heinlein’s “Starship Troopers.” Both are heralded as influential and classics of their particular little cul-de-sac of science-fiction literature. But go into any bookstore today and you’d easily find multiple copies of “Starship Troopers” on the shelf. I’d dare say it’d be a bit more difficult to find a copy of “Dorsai.” I’m not saying you wouldn’t but it seems that “Troopers” has withstood the test of time while “Dorsai!” has become something of an afterthought. 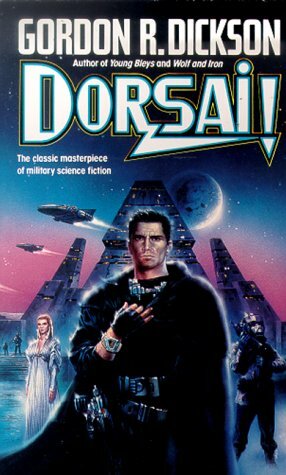 And reading “Dorsai!,” I can see why Heinlein’s military science-fiction novel has withstood the test of time better than this one has. It’s not that “Dorsai!” is necessarily a terrible novel. I think the problem I had with it is, I don’t necessarily think it’s a novel. It’s a lot of snippets and (at first) unconnected dots about a great military commander and his rise through the ranks. But early on, you’d be hard pressed to say exactly what the driving narrative of the novel is. At times, “Dorsai!” is terribly episodic in nature, with a few characters coming in and out at various points to connect things, but frustratingly not adding up to a complete narrative. The story does start to come together in the last third of the novel, but by then I was so frustrated with the book and the episodic nature that the best narrative tie-up in the world wasn’t going to help things. A lot of it stems from the fact that the main character, Donal Graeme, isn’t all that terribly likeable. In the future as created by Dickson, various planets produced people who are more equipped for one particular job or role than another. This leads to a system of barter in the universe with the specialized planets working together out of necessity since while one group is great at one thing, they are terribly weak in another. In many ways, the societies are so limited and defined by one particular characteristic that it becomes a bit off-putting at times. Sort of the same issue you can have with classic “Star Trek” or “Doctor Who” stories–it’s hard to believe the entire planet is reflected by one group of people that the heroes just happen to run across. (For example, why does the whole planet subscribe to the “let’s all be gangsters” theory in the classic “Trek” episode). Enter Donal Graeme, who is from the military caste and apparently has some great future. The novel gives us glimpses of his rise and how he’s this great military leader. Hints come along that he may be more than he seems and there are moments when you can see the influence “Dorsai!” might have had on Frank Herbert in writing the Dune saga. Donal is clearly meant as some kind of messiah. And that may be where “Dorsai”! goes so wrong for me. It’s hard to believe that other military commanders hadn’t or couldn’t come up with some of the “revoluationary” strategies Donal uses. For example, at one point he attacks a group earlier than expected. Seems to me the element of surprise might be one that military commanders had thought of before now. But the entire novel acts as if this is the greatest military strategy since slice bread. “Dorsai!” does have a lot of other issues. For one thing, the characters are extremely wooden and the dialogue a bit stilted. A lot of this I chalk up to the era “Dorsai!” was written. The writers then may have had a lot of brilliant ideas, but sometimes writing a realistic conversation was a bit of stretch. But at least with Asimov and Heinlein, you had some characters that actually felt better realized than what we get here. And if you’re looking for some strong female characters, this is not the book for you. The universe here is extremely misogynistic. And there are some odd overtones, especially when woman after woman throws herself at Donal, only for himself to truly be his best around the men, esp. his servant, Lee. It could just be the mind-set of today talking but intended or not, it’s still there. I wonder how readers in the 1960’s might have reacted. All of that said, I still don’t think this is the worst novel I’ve read. Certainly there is Heinlein with stronger misogynistic slants and it’s not like Asimov was always strong on the character or creating fully realized worlds. (While I love Foundation, the worlds there are, at times, extremely one-dimensional as well). But it’s interesting to read a novel that clearly influenced a lot of other writers (the novel could even been seen as a bit of a pre-cursor to Stephen King’s Dark Tower series), but yet isn’t exactly still as well respected or remembered today. I kept having to remind myself this was once up for a Hugo. But having a Hugo nominee not live up to the test of time isn’t anything new. Looking back on recent Hugo nominees, it’s puzzling sometimes at what does make the short list. I wonder how many of those will be like “Dorsai!” in a few years–seen in the shadow of the eventual winner.